Join us for a special installment of Garage University. This one-off seminar will take you through the wend and weft of cryptic crosswords. Learn all about anagrams, hiddens and other secret codes that will help you ward off Alzheimer’s. 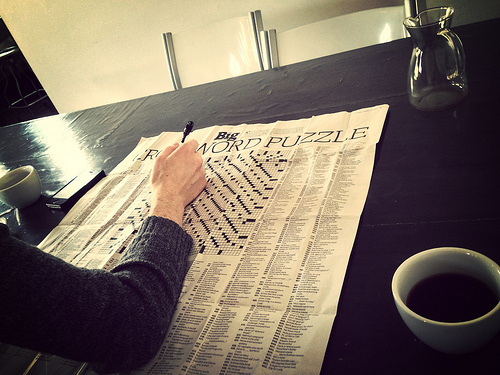 Chris Black (alias CB), who brought us Kanye and Kirkegaard in ‘Hell of a Life’, teams up with Siobhan (alias SL), who regularly polishes off the Times Cryptic Crossword, for this special cryptic tutorial. Venue: Brunswick Garage (email garageblackboardlectures[at]gmail[dot]com for the exact address).